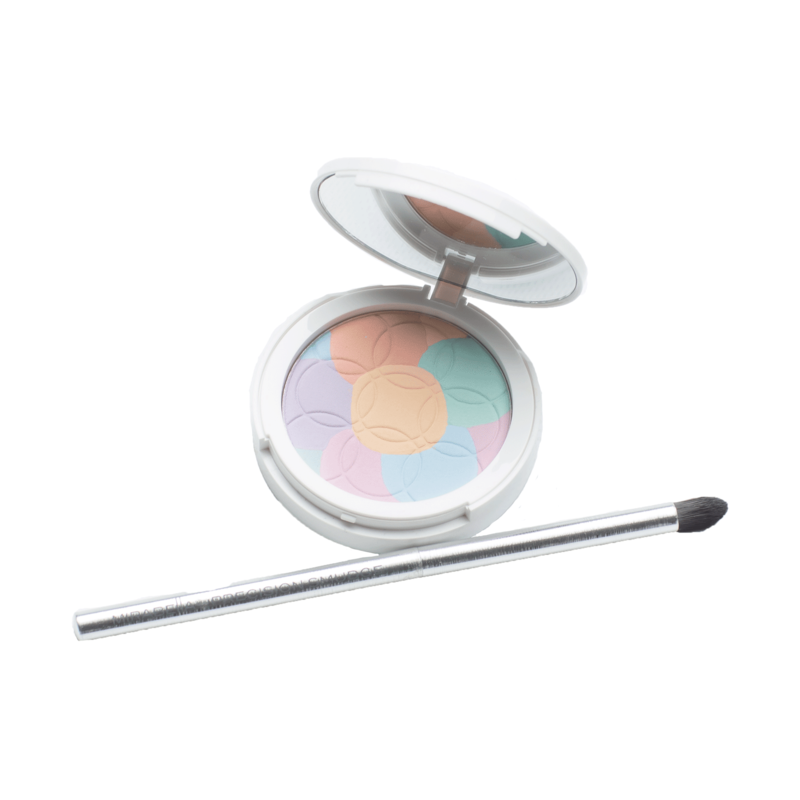 Neutralize and brighten skin with Mirabella's Perfect and Correct Finishing Powder. This custom-created palette of correct matte shades helps to gently balance the complexion while providing a flawless finish. Flawless makeup applications just aren’t complete without something to set the look in place for all-day beauty that lasts. Mirabella’s Perfecting Powder is that “something” you’ve been seeking. Our translucent silica loose powder enhances your foundation wear while perfecting the skin’s overall appearance for a finished look that’s radiant and set in place to last without feeling overdone. Available in one universal shade, our Perfecting Powder dusts on smoothly to set makeup without adding any weight. This means it creates a luminous finish that blends into the skin while providing foundation and blush the extra boost it requires for long-wear perfection. Like all of Mirabella’s products, our Perfecting Powder was formulated with quality in mind. It features 90% natural ingredients and boasts a composition that includes Vitamins A, C & E, which are known antioxidants. Plus, its anti-aging peptide helps nourish the skin while evening out its tone and setting radiant looks in place. This formulation is paraben, gluten, FD&C dye and talc free to ensure a light-to-the-touch feel that’s simply healthier for the skin. For a complete look that dazzles, be sure to use Perfecting Powder in conjunction with one of our mineral foundations, such as Mirabella’s Skin Tint Crème, and one of our eye-catching blush duo combinations.